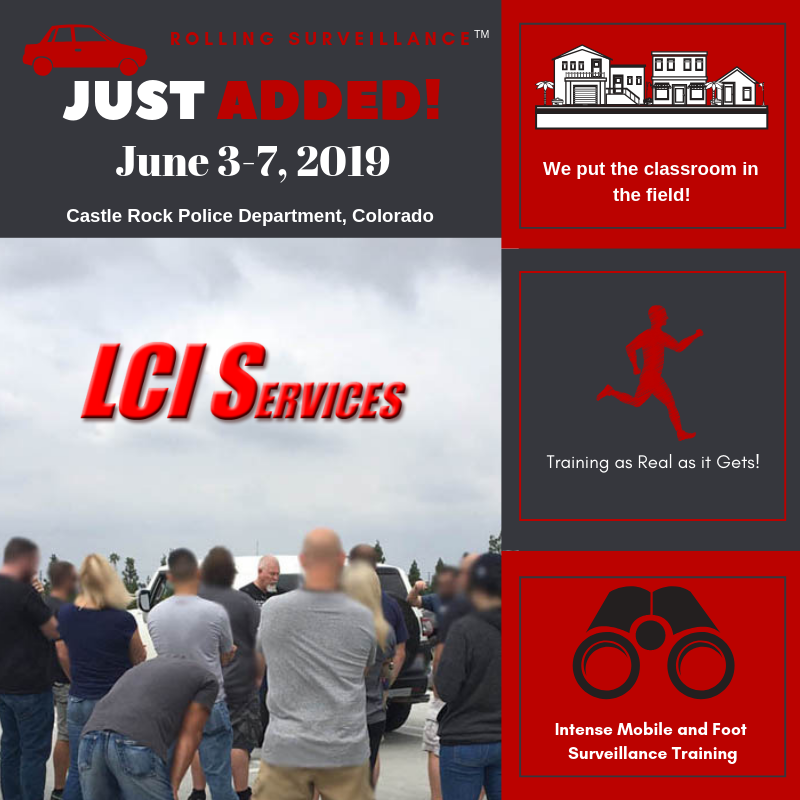 Register below for the May 13-17, 2019 Rolling Surveillance training in Lone Tree, CO (Denver region). Free to Colorado Law Enforcement Only via CATI Scholarship. Please choose that payment option below on the registration. Thank you. *In the event a cancellation is requested by attendee or agency up to three weeks prior to the event/class, the amount will be refunded, less a $100.00 service fee. No refunds thereafter.